Woodstock Line has been making high quality braided and monofilament fishing lines along the shores of the Quinebaug River in Northeastern Connecticut. for nearly 70 years. Woodstock Line has a passion for fishing and a strong desire to innovate within the fishing line industry. By using the latest materials and techniques, Woodstock Line has developed a wide range of fishing products, sure to fit the needs of every angler. Woodstock Line Company was started in 1946 by two brothers who prided themselves with, and became proficient at producing the highest quality braided Nylon and Dacron fishing lines available. In the 1960’s Mono Filament was introduced into their product line as the preferred line used for spin casting. In later years, lead core trolling line was also added. 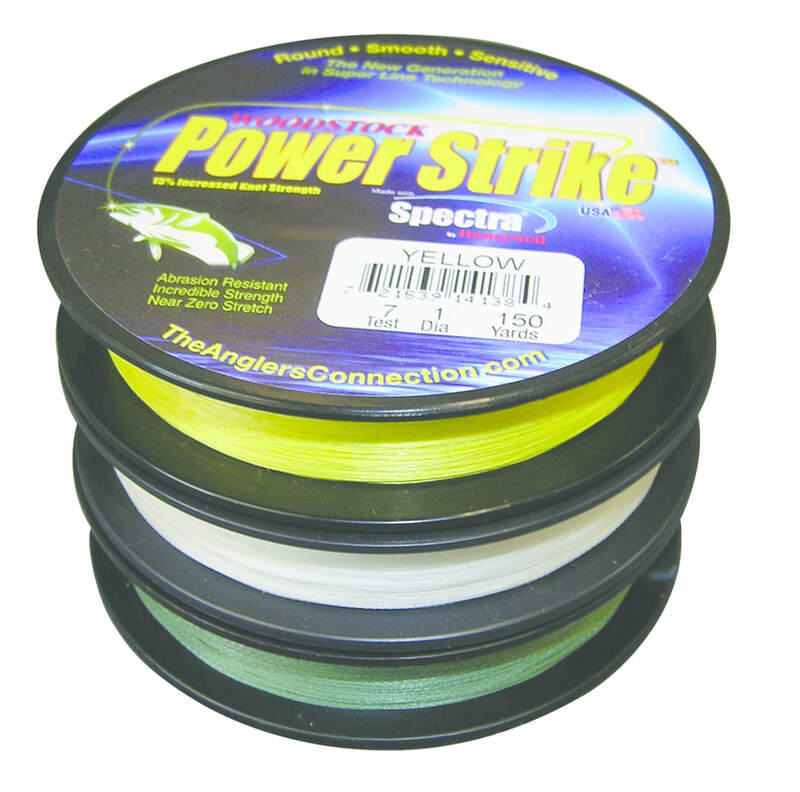 This was followed by “Power Strike™” the newest generation of modern day fishing line made from 100% Spectra™ and impregnated with a special blend of resins. *Note: Some of the product lines on our website may not be available for distribution in your market place due to pre-existing arrangements. Please contact our sales team for further details.